Most goats are easily bred, producing offspring when they are as young as 8 months old. Many species produce ample supplies of rich milk for their babies and some left over for human use; those that don't are at least good for keeping yards free of weeds. 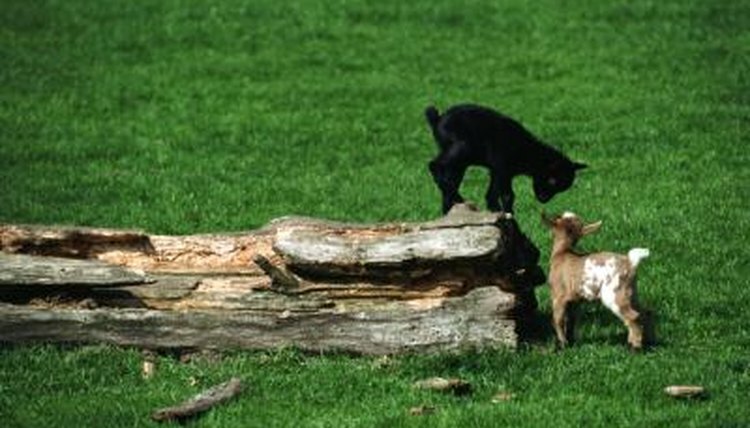 Goats are known by several names from birth to adulthood. From the time of birth to about 6 months old, baby goats are known as kids. By that time, you'll know with certainty which are male and which are female by the developing testes on male goats. A juvenile male older than 6 months old is known as a buckling; a young female is a doeling. When they reach 1 year old, the males become known as bucks unless they are castrated, which makes them wethers. Mature females are called does.